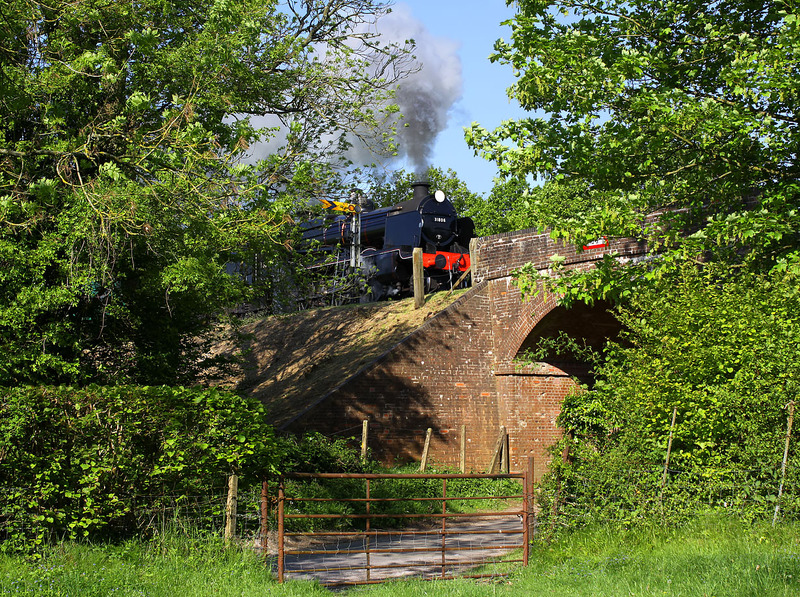 A different Mid Hants Railway perspective on 18 May 2014. U Class 2-6-0 31806 is glimpsed through the trees at North Street, as it works the early morning Ropley to Alton ECS, in readiness for the day's services. I wanted to show the signal, bridge and gate, with the loco as a minor part of the picture. I'm not entirely sure about the result, but know it will definitely be too arty for some!